The idea behind the project was to have a space for the children to explore their music creativity and to have a high end home entertainment system as well. 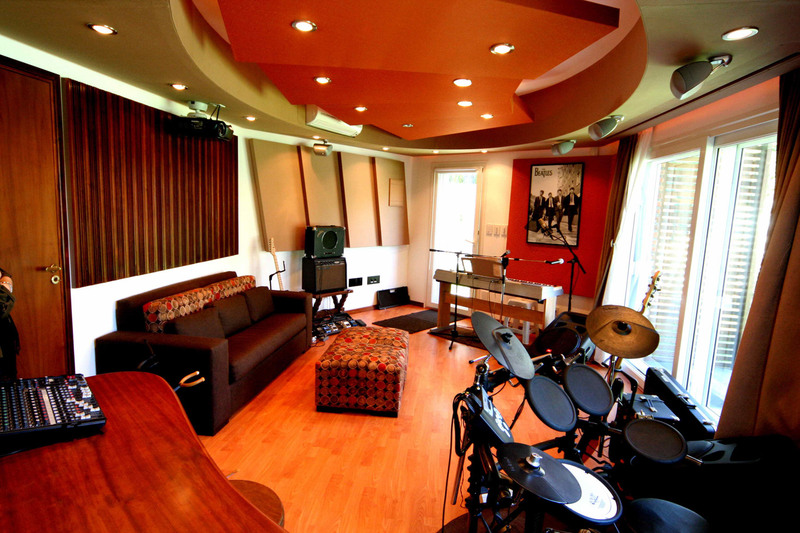 Since the studio is located very close from the main home, and located in an extremely quiet residential neighborhood, sound isolation was essential. The studio, which also serves as a high end home theatre, was designed by putting careful consideration into the acoustical planning both in terms of sound containment and isolation. 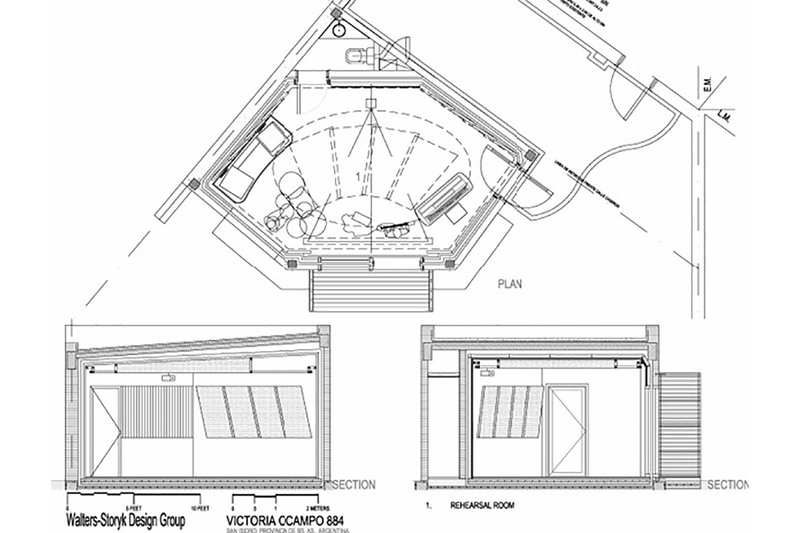 The space design allows for maximum flexibility in the event that equipment configurations ever change. The room is extremely inviting, as well as the workstation space. It also makes good use of its large windows overlooking the house´s garden. 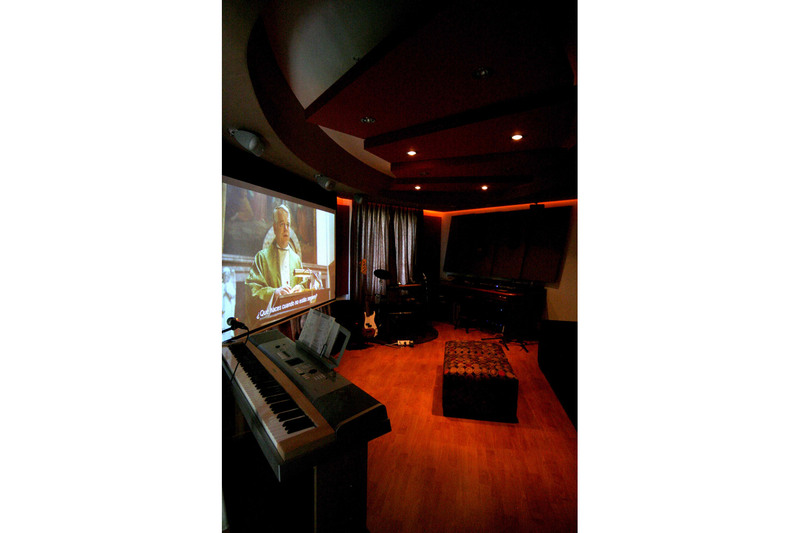 The home theater employs state of the art audio/video technology, combining it with professional audio room acoustics. 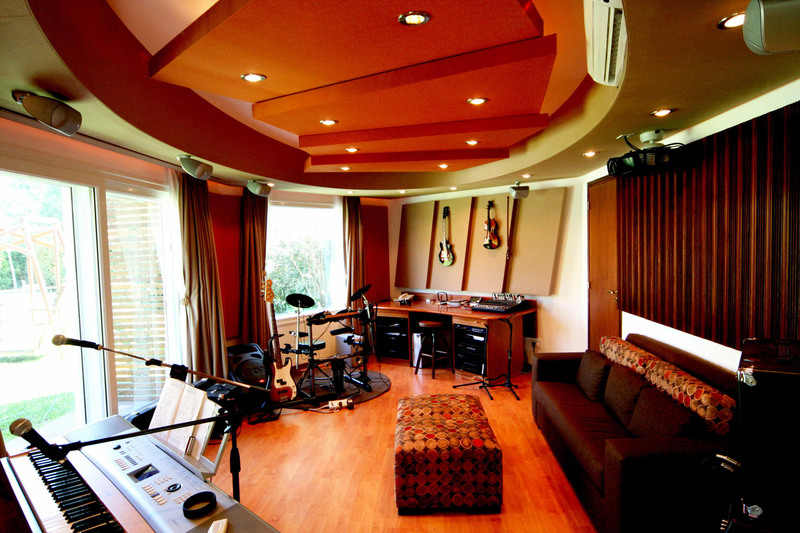 Since an essential requirement was the space isolation, we designed a full room within a room studio area, with 30 cm. masonry exterior walls. A wood over neoprene pads floating floor was installed and later we added an inner drywall system with multiple layers and high density insulation. With a goal of STC 65, the system should handle a rock band rehearsal at 3.00 am with no transmission to the neighboring house, 10 meters away from the media room. The media room was conceptually designed to be used as the home theater for the whole family, so the aesthetics and comfort was carefully planned throughout and all colors and textures specifically chosen, including furnishings, curtains, colors, flooring, etc.